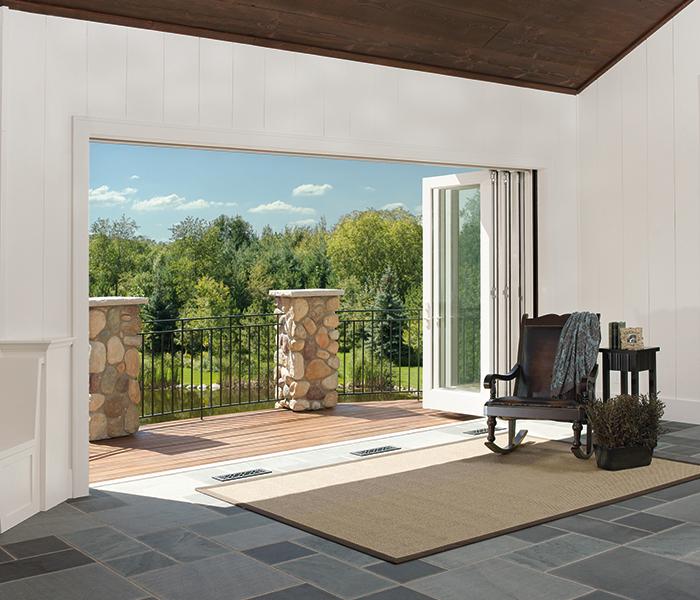 The Bi-Fold door is a simple, elegant solution for indoor/outdoor luxury living – opening wide to invite fresh air in. 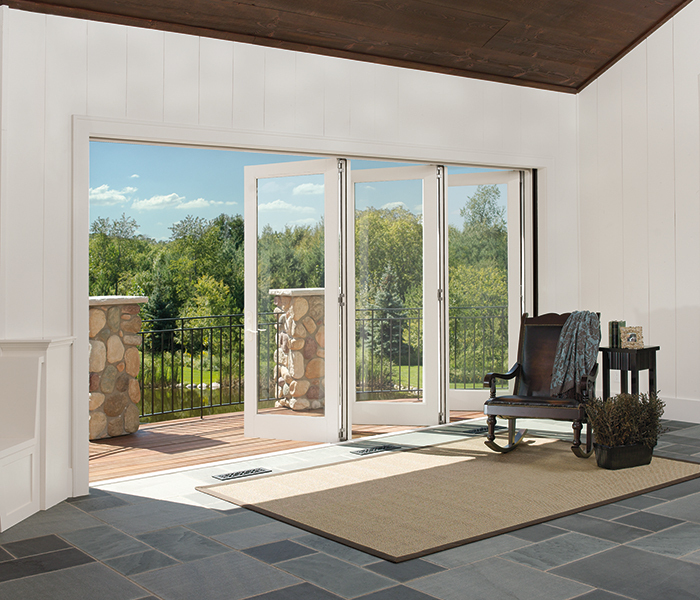 Configured from two to eight panels, Bi-Fold doors use an extruded aluminum track to fold smoothly to one side, stylishly and effortlessly connecting your space to the outdoors or to another room. 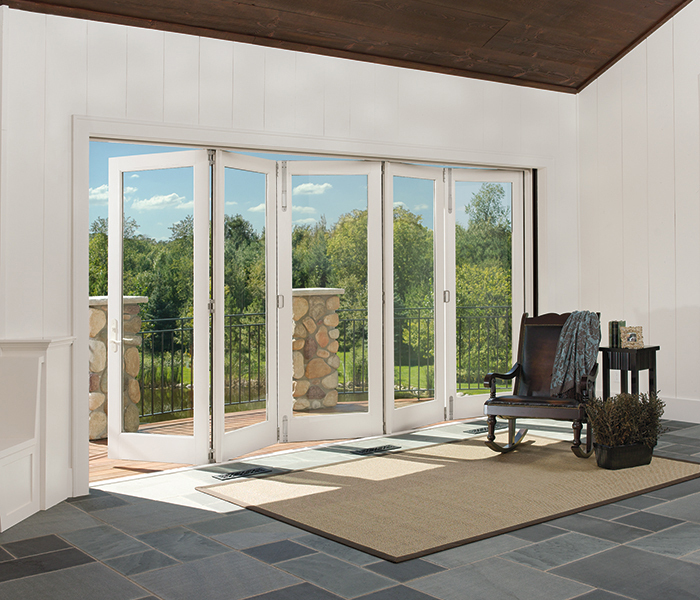 Marvin Bi-Fold doors are ideal for making a dramatic connection with verandas, gardens and more — or expanding a room into adjoining interior areas. 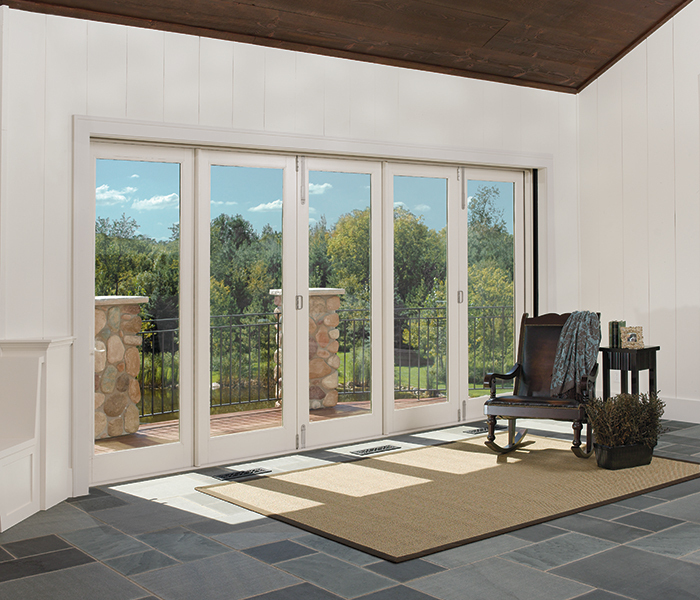 Standard panel assembly features the French door profile with wider bottom rail height of 8 1/8"
Ask your sales representative for the details on all the Bi-Fold Door possibilities.